Sheba, aka Bathsheba, is a petite, 7½-year-old dark brindle female, born January 25, 2001. Her sire is P’s Raising Cain, and her dam is Bongo Rocket. 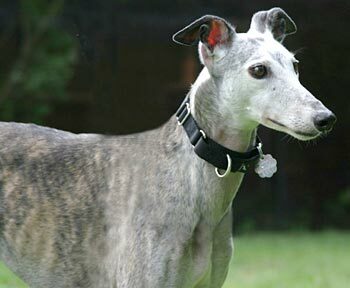 Sheba was originally adopted out through Greyhound Rescue of New England and was in a home for over 5 years. 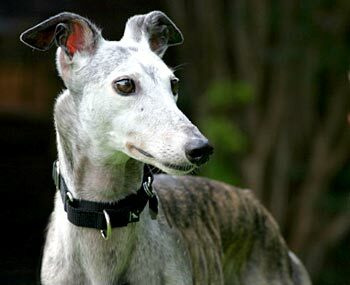 Due to difficult family matters, her heartbroken original family released her to GALT. They describe Sheba as “the most joyful, lovable and adorable dog in the world!” Sheba tested positive for Lyme and is currently being treated. 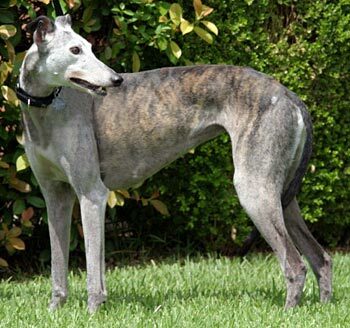 Lyme is seen in a lot of greyhounds that come out of the northeast and this will not preclude her from finding her forever home. Sheba is adjusting to her foster home remarkably well. Sheba is cat and small animal tolerant.